Circa 1916 Owen Magnetic. Photos courtesy Bonhams. In the early years of the 20th century, battery-electric cars competed head-to-head with internal combustion (and steam-powered) vehicles for market supremacy. Each had its own advantages, but one manufacturer — Owen Magnetic — built a series hybrid automobile that offered (much of) the convenience of an electric with the range of a gasoline-powered vehicle. 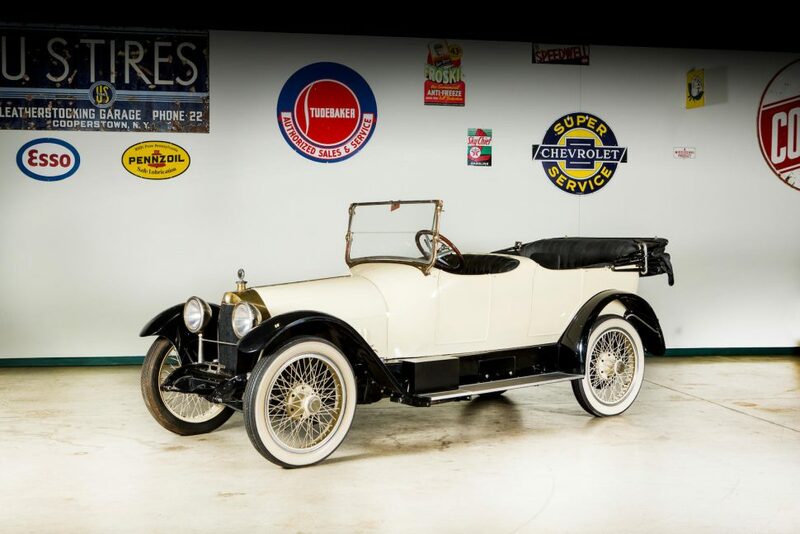 Rare in-period and rarer today, Bonhams will be selling a circa-1916 Owen Magnetic Tourer as part of its Tupelo Automobile Museum Auction, taking place in Tupelo, Mississippi, on April 27. Say the word “hybrid,” and most think of economy cars like the Toyota Prius and Honda Insight, both of which are parallel hybrids. In this design, the battery-electric drivetrain supplements the power of the engine to improve the fuel economy (and thus, the range), or in the case of performance hybrids (like the current Acura NSX or the McLaren P1), increase performance. Two things are key here: The primary propulsion is derived from the internal combustion engine, which works together (in parallel) with the batteries, regeneration system, and electric motor. The Owen Magnetic, which entered production in 1915, used an innovative “electric transmission” developed by former Edison Machine Works chief electrician Justus B. Entz, coupled to a conventional 374-cu.in. six-cylinder gasoline engine. Instead of gears, Entz’s transmission assembly featured a generator and magnet assembly that replaced the flywheel, positioned opposite to an electric traction motor with its armature located within the magnetic field. 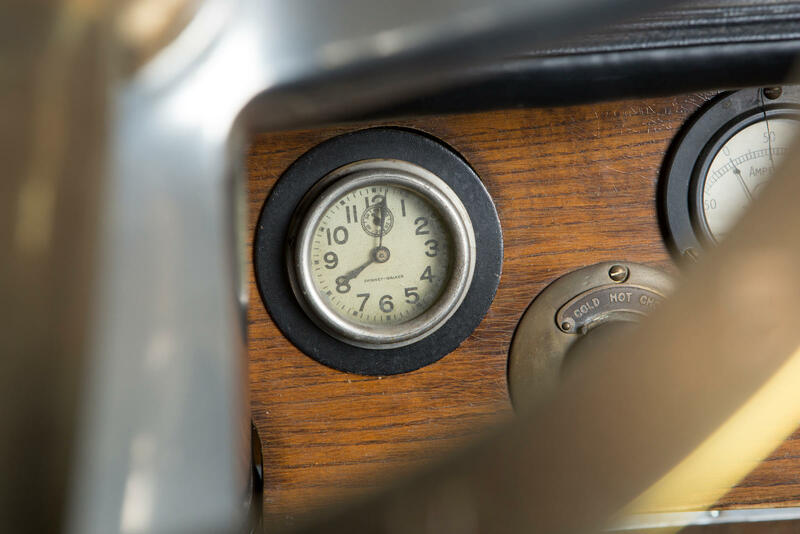 No direct linkage existed between engine and drive wheels, but instead, the electric motor provided propulsion, with the driver adjusting speed via a steering wheel-mounted rheostat (which also provided neutral). Though complex, this drivetrain system offered a few key benefits. 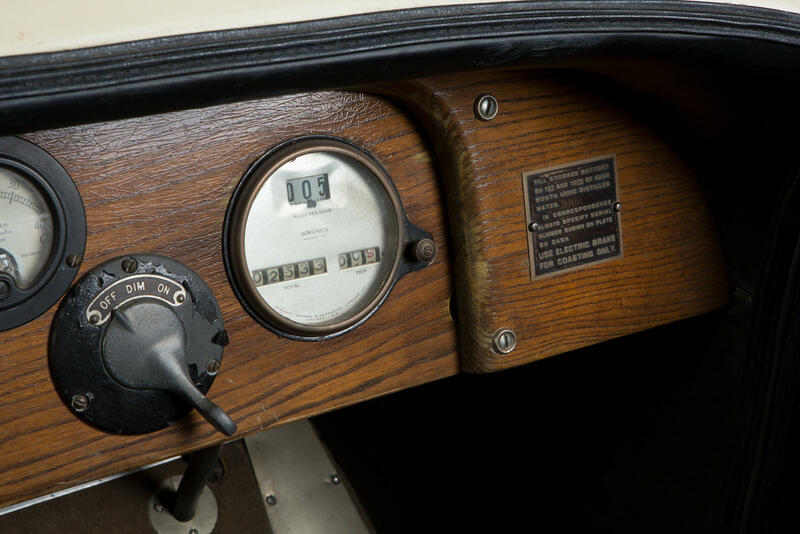 Once the gasoline engine was started, the Owen Magnetic was as easy to operate as an electric car, and had no clutch to depress or gearshift to row. While the car used mechanical brakes on its rear wheels, a control lever turned the traction motor into a generator, slowing the car without the mechanical brakes and providing current to recharge the onboard storage batteries. Advertised as “the car of a thousand speeds,” the Owen Magnetic was hampered primarily by its high price. In 1916, after the firm relocated from New York City to Cleveland and expanded its product range, the least expensive Owen Magnetic cost $3,150, with the most expensive model priced at $5,000. The series hybrids were popular with celebrities (including opera stars Enrico Caruso and John McCormack), but priced well beyond the means of the average consumer. By comparison, the most expensive Ford Model T of the day, the town car, sold for $640, while the Model T runabout could be purchased for just $390. The Baker Electric Car Company built the Owen Magnetic with coachwork from partner Rauch and Lang, but in 1918 Baker turned its attention to government contracts for the war effort in Europe. 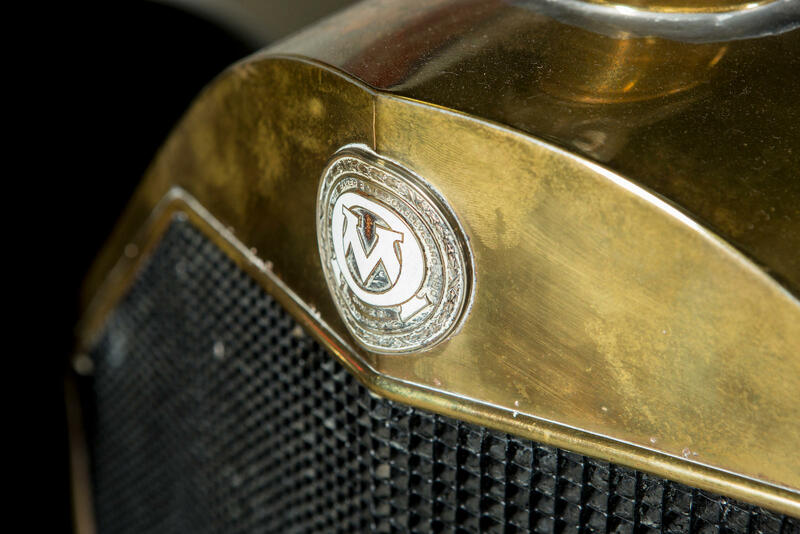 Following the end of World War I, the Owen Magnetic Automobile Company migrated back East, setting up shop outside of Wilkes-Barre, Pennsylvania. 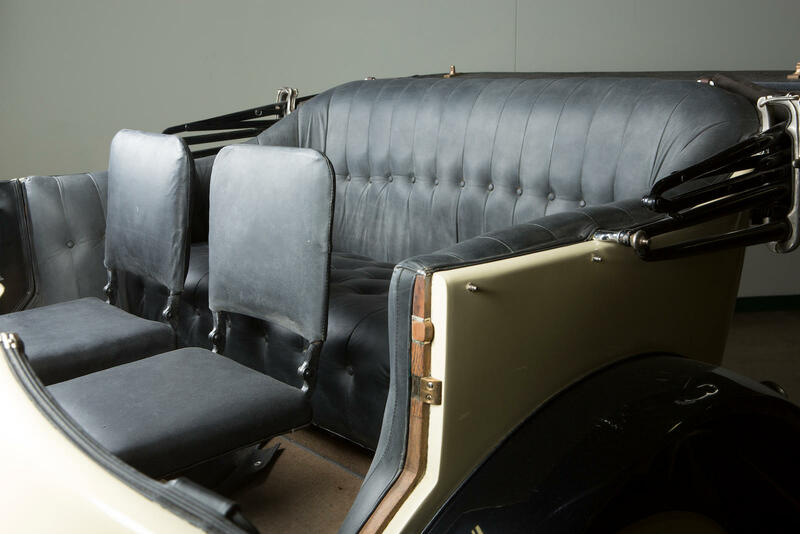 After announcing that production would resume in January 1920, the firm landed a contract to build 500 cars under license for a British firm, but financial difficulties kept the automaker from filling the order. In August 1920, the Owen Magnetic Automobile Company went into receivership, reemerging in 1921 as the Owen Magnetic Motor Car Corporation. This, too, went under, and the factory shut its doors for the final time in March 1922. The 1916 Owen Magnetic tourer to be sold in Tupelo dates to roughly 1916, and was acquired by Frank Spain for the museum in the late 1980s. 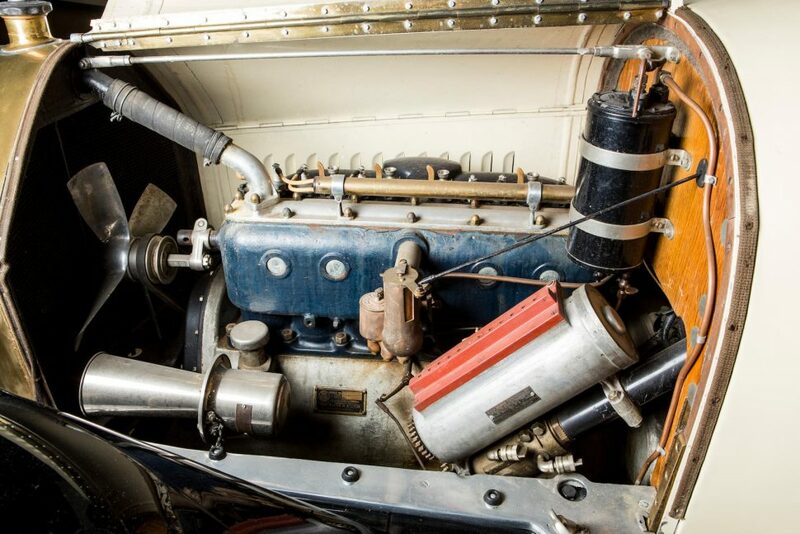 The auction listing at the time described the car as a “prototype” built specifically for Dr. George Schaeffer of San Bernadino, California, but it’s more likely that the Owen Magnetic was simply one of the roughly 800 production examples built in 1916. 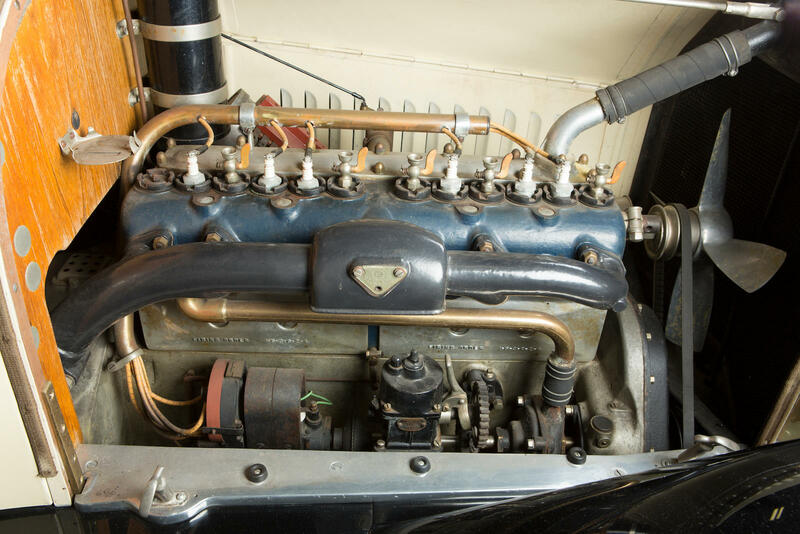 Described as an older restoration, the hybrid is said to have accumulated just over 2,500 miles in the last 103 years, and Bonhams predicts a selling price between $80,000 and $110,000 for the no-reserve lot. 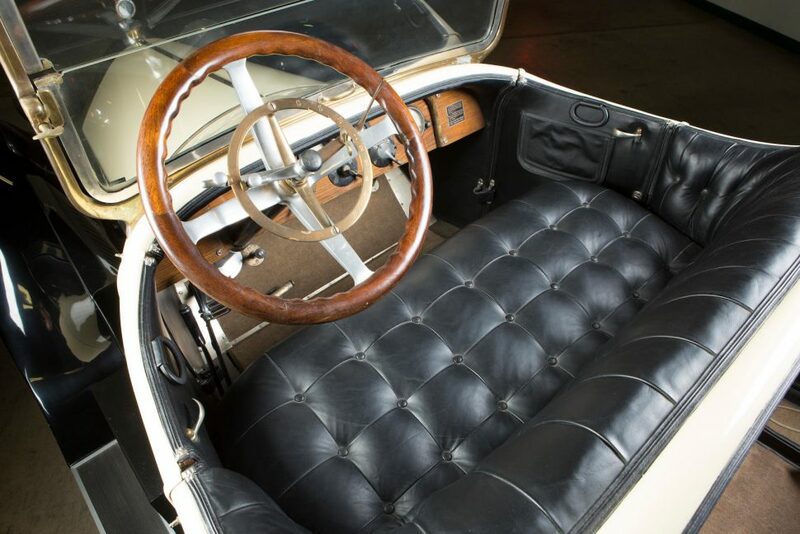 For complete details on the Tupelo Automobile Museum Auction, visit Bonhams.com.